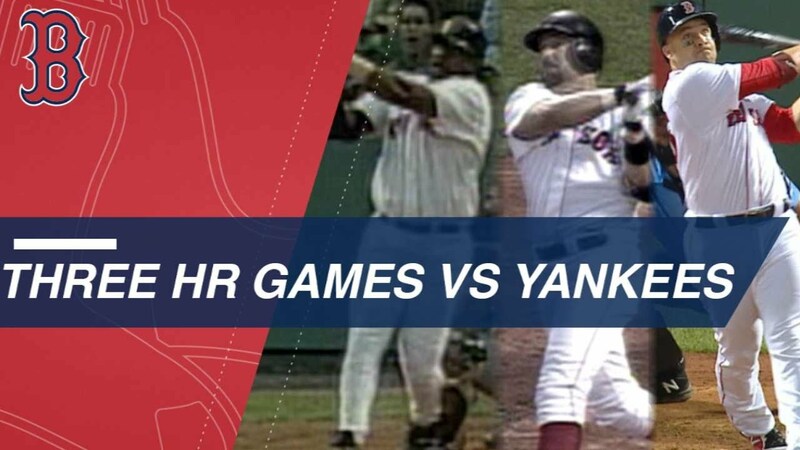 Only three Red Sox players have 'gone yard' three times in one game against The Evil Empire over 2,185 regular season games between the two clubs. Last night, Steve Pearce became that third player—joining Mo Vaughn (1997) and Kevin Millar (2004). Pearce's epic performance on Thursday night will long be remembered—especially since he was sort of an "under-the-radar" pick-up by Dave Dombrowski back on June 28th and is considered a bit of a journeyman (Boston is his seventh MLB club). His second blast of the night was special—turning a 4-3 deficit into a 6-4 lead that the Red Sox never relinquished. Since coming to the Red Sox, Pearce is hitting .358 with 4 HRs and 12 RBIs in just 18 games. Oh, and he's slugging .679 with an OPS of 1.124. Not a bad acquistion "Double D"!